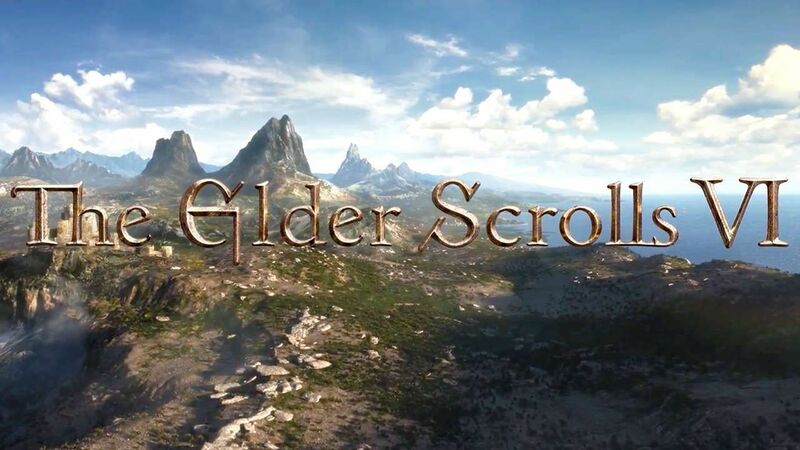 During the E3 2018 a few months back, Bethesda announced two big projects that will be released in the future, Starfield and The Elder Scrolls VI. No gameplay has been shown and it seems like it will be quite some time before we hear anything more about both titles. In a recent interview, Bethesda’s Pete Hines not only confirmed that we won’t see much of the two games for quite some time but also the reason behind the early announcement. Speaking to Eurogamer, Hines stated that the usual time frame is not different from the past, but at the E3, they wanted to lay out a roadmap and showing that Bethesda hasn’t abandoned single-player games in light of Fallout 76, which is very different from previous entries in the series. Actually, I should not be quite so dismissive of the question, which is to say – the timeframe for Bethesda Game Studios titles has not changed at all. What changed was our desire to lay out a roadmap of those titles, not like, hey they’re going to be putting out a game every nine months, no, it still takes them years in between projects, but because we were doing something so different on Fallout 76, taking that franchise in such a different direction, doing an online game that doesn’t look like something you’d expect from BGS, we thought it was important to say: hey, new IP, single player, sci-fi thing coming, hey we are doing The Elder Scrolls VI after that. So that people didn’t start spinning off on, like, that’s the end of single player games from Bethesda Games Studios. Timeframe-wise, it would still be about as long as you’d expect when you look at Fallout 3 to Skyrim to Fallout 4 to Fallout 76. It’s still going to be those periods of time, that hasn’t changed. Or at least, I don’t think it will change from that based on what I know. Aside from commenting on The Elder Scrolls VI and Starfield, Pete Hines also commented on the next generation of consoles in the same interview, saying that streaming is going to be bigger and that new consoles should be all about cross-play and cross-progression. I’m most heartened by Sony’s news last week about crossplay, because it seems that they’re going to open up and embrace not just crossplay, but crossplatform progression – those are two very different things. I don’t just want to able to play against people on other platforms. I also want to be able to take my progress with me from device to device. What I’ve unlocked, what my character can do, I want to be able to go from platform to platform. And both of those things I think are equally important, and I very much am hopeful that with the next gen platforms, we’ll see even more of that, in terms of treating our fanbase as a whole, as opposed to “here’s the Xbox folks, here’s the PS4 folks, here’s the Switch folks and PC” – everybody segmented and walled off from each other. We can just say, “you’re all playing Game X” and we can treat you all the same because your experiences are all the same, you’re playing against each other. As a game creator, you just want to make a game and have it work the same everywhere, as opposed to these guys have these rules about how friends lists works, or whatever, while over here it’s completely different. So the more that we get to this [principle] that it’s just a game on whatever platform, we’re not siloing people, I think will be positive. So that, games as a service, and like you guys, I’m interested to see where they go with the hardware choices, the technologies and giving our devs more tools and horsepower to work with. The Elder Scrolls VI is in development for yet to be confirmed platforms. Considering it will be a while before we see more of the game, it’s likely it will release on next-generation consoles.